On the 30th September we will be hosting our termly Christians in Education meeting in partnership with Off The Fence. Occurring each term, Christians in Education is an event where Christian teachers, TA’s, governors, and anyone working within schools, are all welcome. The aim of these meetings is to encourage, inspire and form lasting connections with Christians in education across the city. A usual meeting comprises of short presentations from either teachers, students or other organisations. There is also a chance to pray, connect, chat, and eat homemade cake (which is very tasty)! We are very excited to announce that on 30th September we will be joined by Ann Holt OBE who will be talking about what it means to be a distinctive Christian in education. Ann is the director of education for the Chichester Diocese, and is an excellent communicator. Please come along for what should be an excellent night. To book in for free please click here. 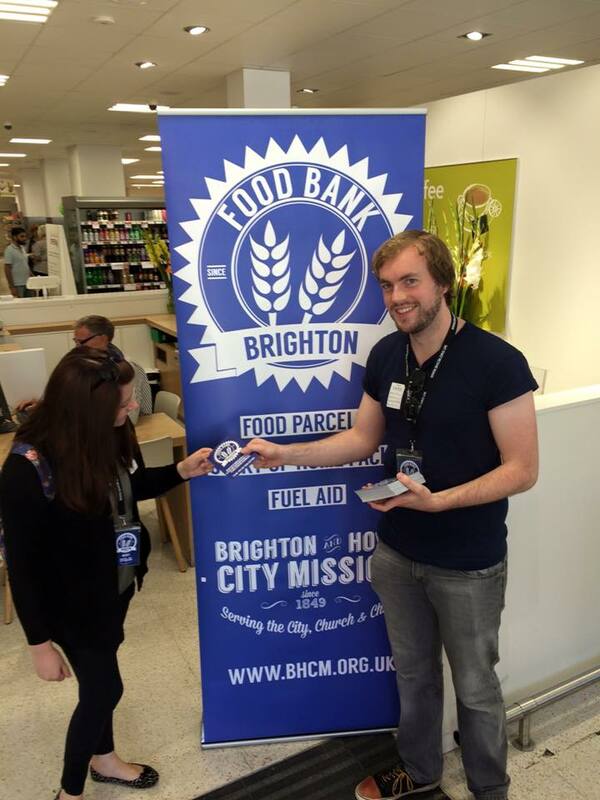 The team had a good time of conversation with the customers, sharing the needs of the Brighton Food Bank clients. The donations over the two days were staggering, with over 7 big trollies full of food donated. Our presence at Waitrose, Brighton isn’t just limited to those two days. We have a permanent food bin where you can place your donations after shopping, which is located after the self service tills. We would like to take this opportunity to say a huge thank you to Waitrose for your amazing, ongoing support. The donations that we receive through your customers are a massive blessing, and help those who are most in need in this city.